Regulators Draw Up New Rules To Stop Abusive Practices By Debt Collectors : The Two-Way The Consumer Financial Protection Bureau receives more complaints about debt collection than any other issue. The Consumer Financial Protection Bureau is drawing up new rules that would curb abusive debt collection practices, which it says generated some 85,000 consumer complaints last year alone. The rules would limit the number of times debt collectors can contact borrowers to collect debts, and require them to substantiate that they have the right person before doing so. They would also have to make it easier for borrowers to dispute debts. "Both consumers and responsible businesses stand to benefit by improved standards for debt collection. Consumers deserve to be treated with dignity and respect, and businesses should be able to operate fairly and reasonably to collect the debts they're legitimately owed," said Richard Cordray, the bureau's director, at a field event in California. The bureau says it receives more complaints about the $13.7 billion debt collection industry than any other issue. Many consumers report being harassed repeatedly to pay debts they don't owe, or have already paid, the bureau says. "The basic principles of the proposals we're considering are grounded in common sense. Companies should not collect debt that is not owed. 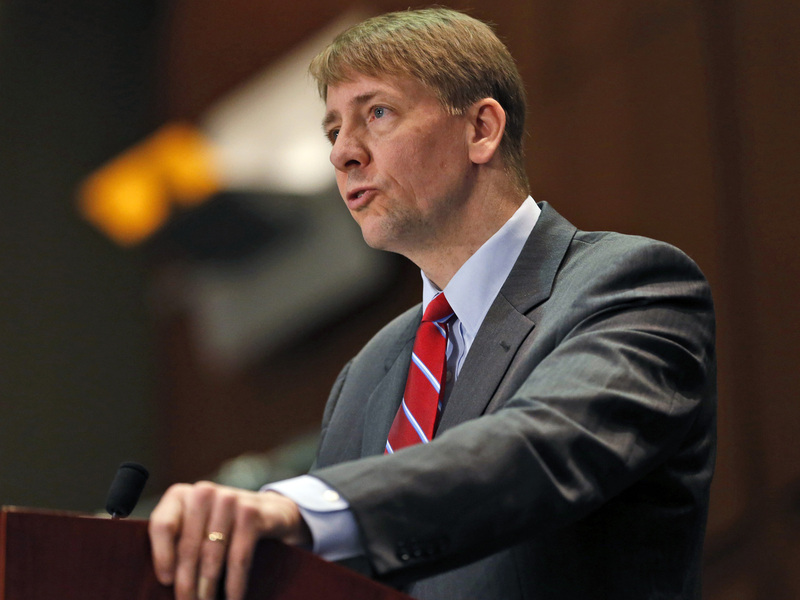 They should have more reliable information about the debt before they try to collect," Cordray said. One problem is that many companies purchase debt from creditors for pennies on the dollar, with the intention of aggressively trying to collect it, but don't necessarily have correct information about the borrower or even whether the debt has been paid, he said. The proposals would limit the number of times a company could contact a borrower and prevent the company from using certain channels of communication, such as a work phone, if the borrower requested it. Debt collection is already governed by the 1977 Fair Debt Collection Practices Act. The bureau was given the authority to issue new regulations under the Dodd-Frank financial overhaul bill of 2010. Bureau officials say the 1977 act needs to be updated in numerous ways. For instance, the act gave consumers the right to dispute a debt or ask for more information, but few consumers understand they may do so, Cordray said. Under the proposed rules, companies would be obligated to confirm their information about debts if consumers requested it. The proposed rules are being released to the public for comment and will be rewritten in greater detail, after industry and consumer groups weigh in. "The law should protect and promote ethical debt collection, which safeguards the rights of consumers and provides clear and effective rules of the road for collectors," said James Mastriani, president of Velocity Recoveries, a debt collection firm. But, he added, "The law should not be misused to enable borrowers to turn legitimate loans into de facto gifts. In the long run, this will reduce the availability of credit for all consumers and make credit more expensive." Graciela Aponte-Diaz, director of California policy at the Center for Responsible Lending, said the proposals "endorse the common-sense idea that people should not be harassed for debts they do not owe." But she expressed concern that some parts of the proposals don't protect consumers from unwarranted collection attempts. "Specifically the proposal does not go far enough to require that debt collectors adequately document that they are pursuing the right person for the right debt," she said. In a previous version of this story, we misidentified Graciela Aponte-Diaz as Graciela Aponte-Davis.